DALLAS, Nov 2, 2010 / FW/ — A morning for a coincidence – two Lebanese designers named Georges, both of them inhabit the lofty world of haute couture, and news item for both reach my inbox this morning. First, Georges Chakra whose ready-to-wear collection had wowed the New York fashion crowd for several seasons now has been mentioned at Women’s Wear Daily via Jennifer Lopez. 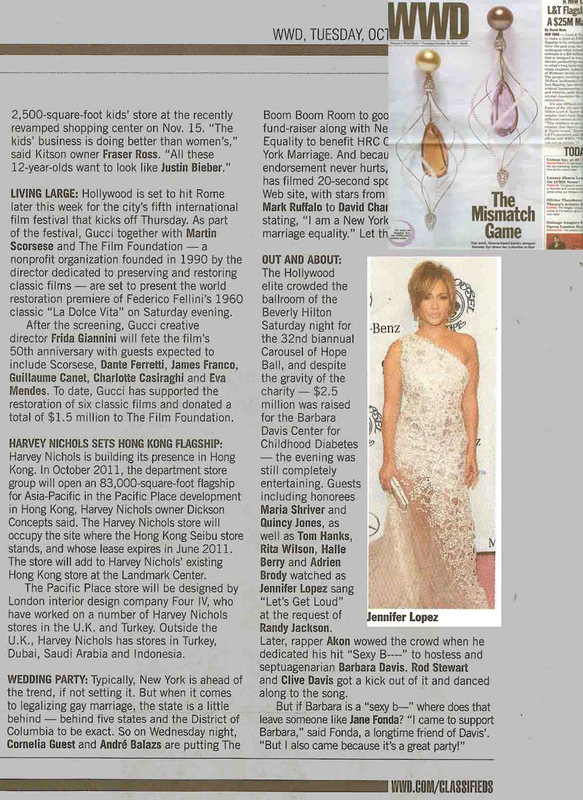 The singer / actress was wearing a Georges Chakra creation in the WWD article about the Carousel of Hope Ball. Then on the next batch of mail is the news that First Lady Shiranthi Wickramasinghe Rajapaksa of Sri Lanka donned the world’s first couture Kandyan sari, designed and presented to her by Georges Hobeika, during a fashion event which benefited her children’s cancer charity organization, Carlton Suwa Sevana. The beautiful, magenta sari featured 24-karat gold and Swarovski embellishments.